BitMain and their 55nm BM1380 SHA256 ASIC chip and the miners that the company has released based on it are quite popular and now the company has announced that they are ready with their new 28nm ASIC chip – the BM1382. As you can already guess the new chips will be offering higher performance at a lower power consumption, so you can get more powerful miners with the same size and power usage as the previous generation with the help of the new chips. The track record of the company is so far very good thanks to the fact that they are not using pre-orders, but ship from stock and announce products when they are ready for shipping, so you can get them fast at a good price and start hashing right away. BM1382 has achieved 15.75 Gh/s in hash performance, consuming less than 9.33 W on chip level at 0.75V. This means 0.59 J/GH on chip. If the core voltage is at 0.63V, the efficiency will be 0.40 J/GH on chip. BM1382 will bring the power efficiency of Bitcoin mining industry to a new level which has not been massively achieved before. BM1382 represents a 20% power saving on its previous generation of 55nm chips and nearly 10 times of better physical densification, which will further improve the safety of the decentralized ecosystem. 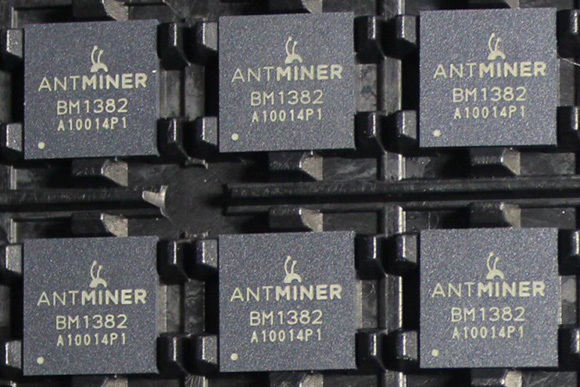 The first devices that we already expect to be available, probably by the end of this month, from BitMain based on the new BM1382 ASIC chips will be the AntMiner S3 miners. 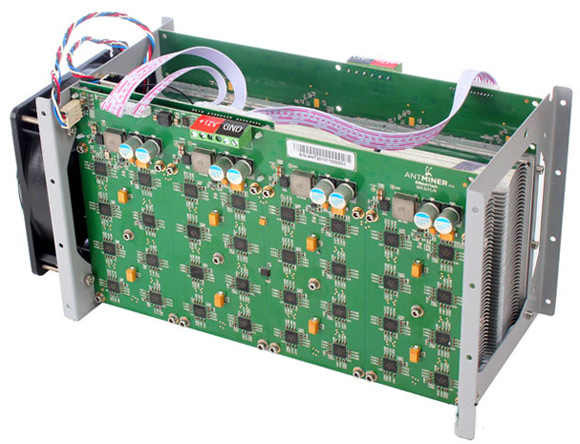 Devices, that will follow the design of the very popular AntMiner S1 blade miner. According to BitMain each S3 should be using 32 BM1382 chips and be able to provide a hashrate of 504 GHS with a power consumption of about 390W from the wall. So this is close to almost 3 times the hashrate of the old S1 with pretty much the same power consumption, not bad at all, but we also need to see this coupled with an attractive price. The new S3 miners have the potential to become a great option for smaller miners that want to be able to mine Bitcoin or other SHA-256 crypto currencies. We don’t know what the exact price will be, but considering that the company is able to offer 1 THS miner based on the 55nm older chips for a price of $1850 USD at the moment, the half of that hashrate and smaller and easier to produce new AntMiner S3 ASIC miners should be not more than lets say $750 USD, but that is actually a bit expensive. They need to be sold at a price of about 1 BTC or even less in order to become really more interesting for the users and to offer a foreseeable return of investment and some profit for the miners. The fresh information from CEX.io about the addition of an option to buy future mining contracts for Bitcoin has made us thing and calculate how profitable are they if we compare them to what other options are already available to start mining immediately. We are going to do a comparison between the FHA contracts (purchasing cloud mining hashrate for the end of April) that you can already purchase to the currently being shipped Bitmain AntMiner S1 BTC ASICs and to a BTC cloud mining service that is already available and running by offering 5 year Bitcoin mining contracts, namely the PB Mining Bitcoin cloud mining service. We are going to compare how much it will cost you to purchase 1 Terahash (1 THS or 1000 GHS) worth of Bitcoin mining hashrate at each of these services. So it seems that all of the above options do have their own advantages, but there are disadvantages as well. It is up to you to decide what seems the most reasonable for you at this moment if any of the options is a viable alternative for you. 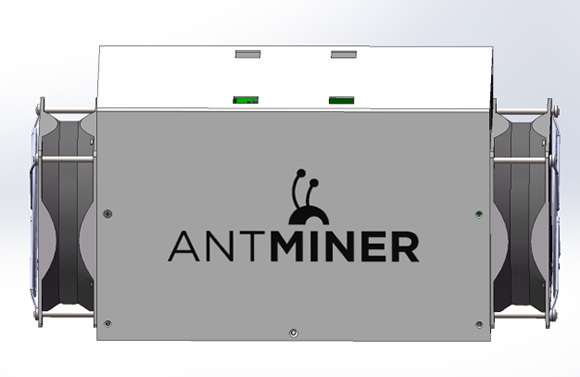 Based on our experience, the AntMiners are very good product and the company making them is really fast and ships from stock (if ordering directly from them), not to mention the always up to date prices going down with the difficulty increase. The PiggyBack Mining cloud mining service so far is working great based on our few weeks of experience using it, they also update prices after difficulty increase. The use of CEX.io for cloud mining is not so good of long term investment in mining hashrate due to the higher prices driver by the users trading on exchange, but if you use the platform for trade and treat the cloud mining as just an extra profit while trading it is not a bad option.